Our jewelry is designed and hand made by art school trained professional jewelers working in our South End, Boston studio. 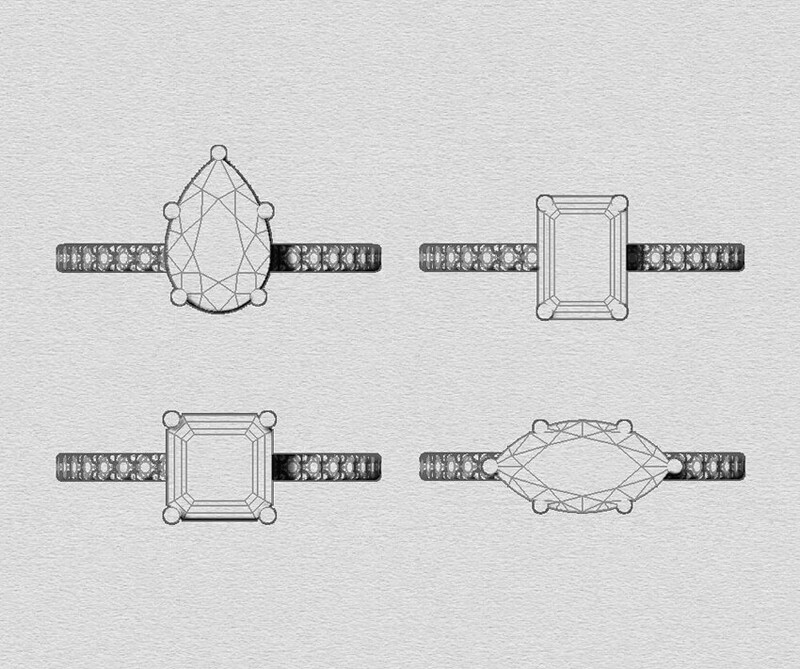 Jewelry design is an art that is learned by trial and error, practice and practical application. Years of making and wearing jewelry has taught us a few design techniques that make our jewelry special, we hope you'll think so too! 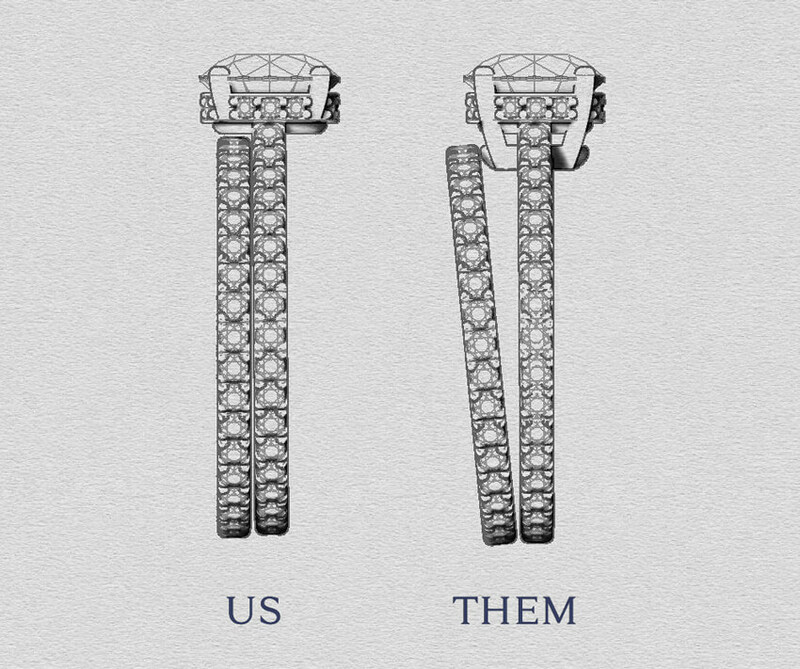 Scroll down to see why our ethical jewelry design is easier to wear. Our ethical engagement, wedding and fine jewelry is fully customizable, most designs will suit any center stone shape from Princess to Pear. You choose your metal color, conflict free diamonds or fair trade precious gemstones, and a matte or high polish finish. Don't see the design you're dreaming of? Learn about Custom Design or email us to inquire about customization of our original designs. We make our engagement and wedding collections in every color of 14K gold and 950 platinum, with two finishes matte or high polish available, and with any shaped center stone you like. 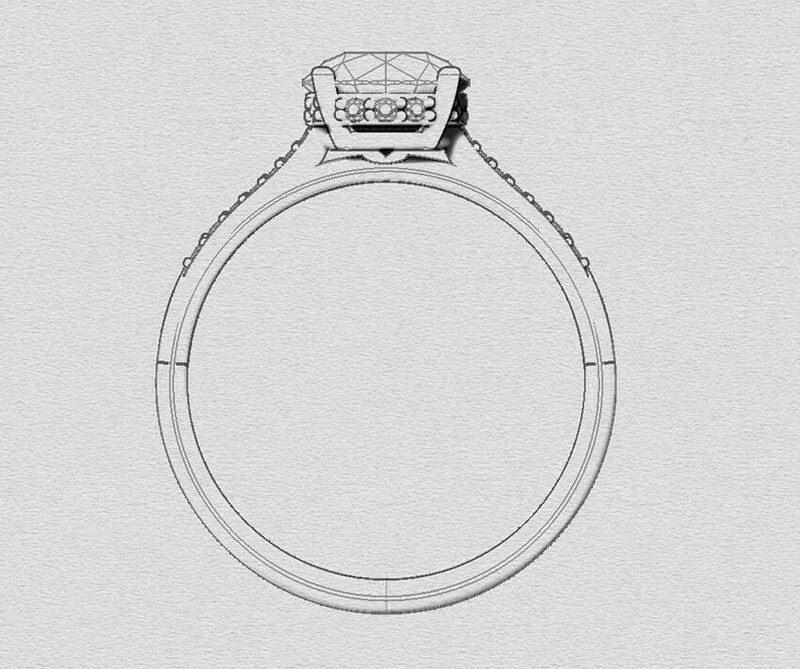 Don’t see what your looking for, just imagine it, and let us make your perfect ring just the way you want it. Designed to complement your busy lifestyle. We set our rings using an age old setting notch that brings the stone down as close to your hand as physically possible without compromising the heirloom quality. Designed to nest with no added height. 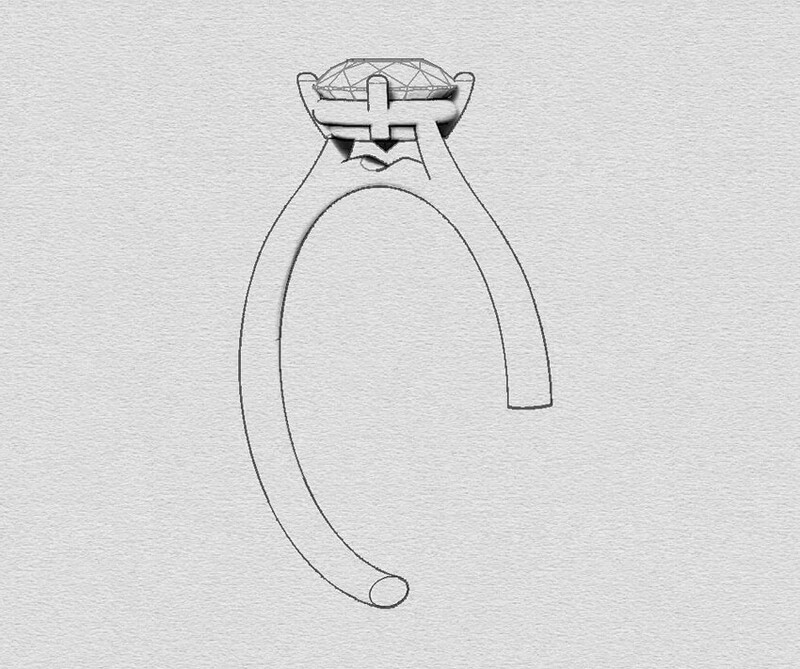 Being engineers and jewelry designers we know that very few people set out to purchase an engagement ring that requires some bulky, single purpose wedding band. Who doesn’t love a ring stack? 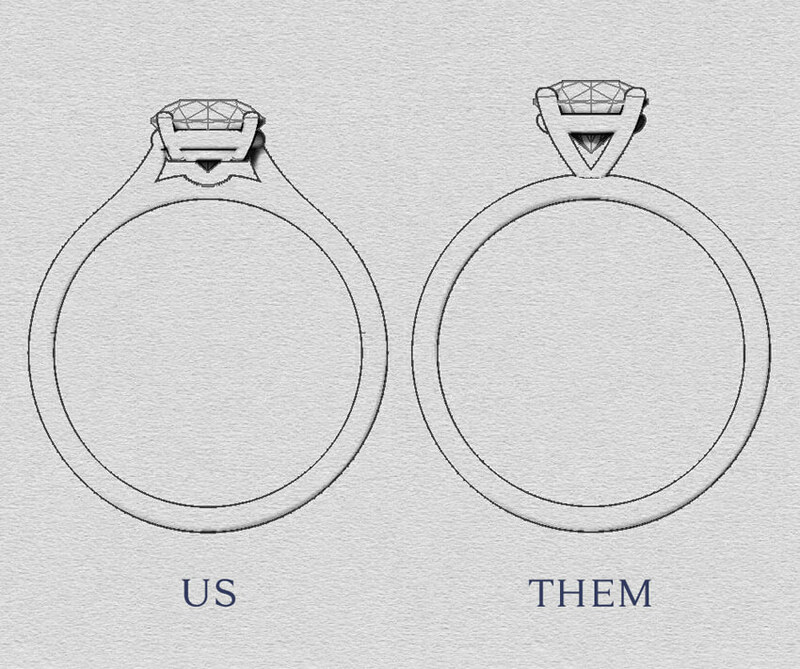 Our rings are made to fit the center stone you choose to wear, because we all know one size never fits all. 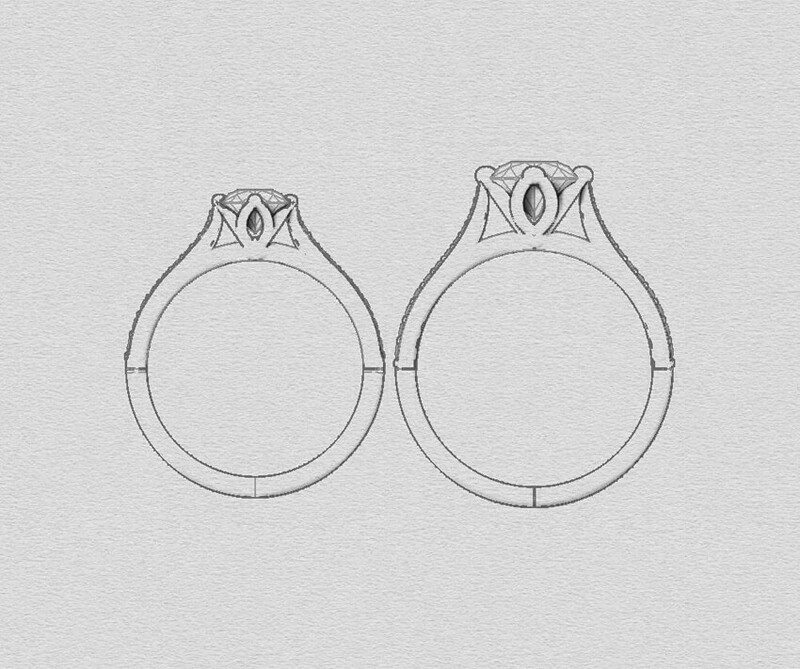 Most jewelers just change the prongs of a ring to fit the diamond changing the proportions of the original piece, we make every ring individually to suit the diamond and the setting. Flat surfaces aid in speed of production, not in comfort. Our ring bands are rounded on the inside and the outside providing superior comfort without compromising strength. Jewelry designers are engineers, and engineers know more points of contact equals more strength and more strength equals a lifetime of wear. Our engagement rings are engineered to stand the test of time, and the dog, and your weekend camping trip.